SKOT Fashion B.V. (“SKOT”) is responsible for ensuring that your data is handled with care. SKOT believes in a fun and fair world. That includes the transparent and proper handling of your data. When you visit our website or when you order a shirt from us, we keep records of you. We do this in order to be able to execute our services and to receive information about our target group. Important to know: we do not share customer information with third parties and we do not collect information that we do not need. Considering SKOT wants to work completely transparent, the most common questions and answers are listed below. SKOT adheres to the General Data Processing Regulation (Algemene Verordering Gegevensverwerking). You have the right to view or change the data that we have about you. Send an email to hello@skotfashion.com. Do you think we’re doing something wrong? If you have any complaints about our handling of your data, you can visit the website of the Dutch Data Protection Authority (Autoriteit Persoonsgegevens). What data does SKOT collect and what do we do with it? 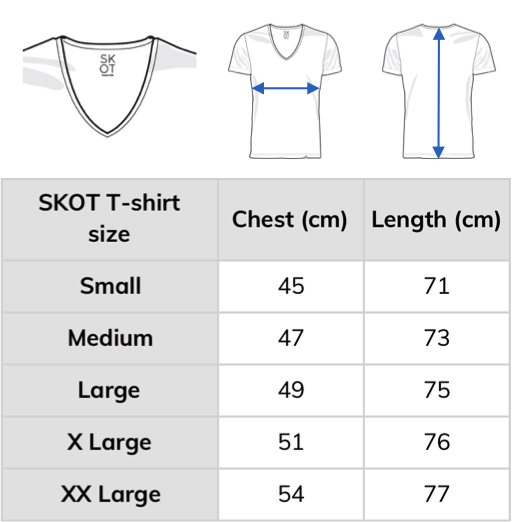 The information we collect is the information you provide to us when you have a SKOT shirt or you sign up for our newsletter. 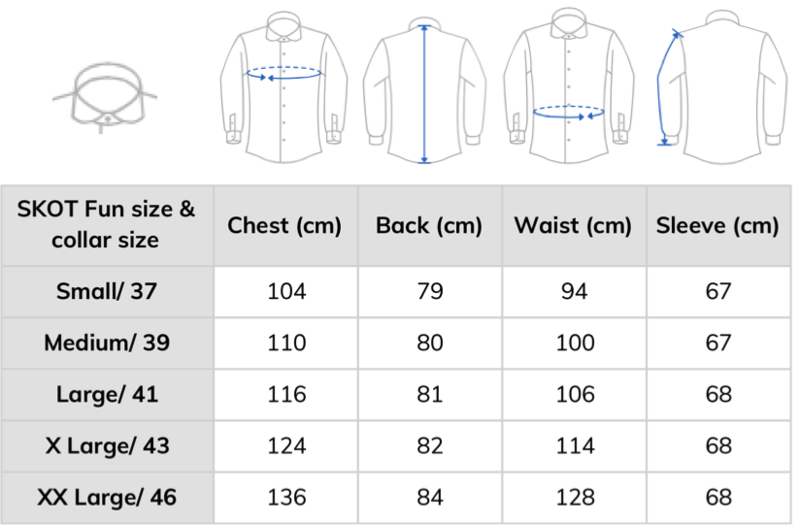 This is information that is necessary for our services, such as delivering the shirt and offering a good customer experience. With your information we ensure that your shirt is delivered to the address you have issued. We also keep you informed of our developments, and we ask you for feedback on our services. Do you prefer not to receive these emails? No problem, you can easily unsubscribe. How does SKOT ensure that your data is safe? Your information will never be shared with third parties. SKOT does everything to protect your personal information. We use different protection mechanisms and your data can be accessed via a limited number of computer systems that a limited number of people have access to. All systems are closed with passwords. Cookies are small pieces of data that are stored on your computer during a visit to a website. Cookies are used to store your password and user name, preferences or start pages, the status of your order on a website, personal settings or website tracking (e.g. targeted marketing). The information stored in a cookie can be used later to, for example, tune a page to your preferences or automatically log in. Personal information can only be stored in a cookie if you have provided that information yourself on the website. How long does SKOT store your data? When you order a shirt from us we keep your data forever. We do this because you always have the option to return your shirt, and then we need to know who placed the order and when. When you unsubscribe from our newsletter, your data will be deleted after 2 months. Do you want to know exactly what information we have about you? No problem. You can always request an overview from us. Send an email to hello@skotfashion.com. Some personal data can be viewed yourself if you have created an account on our website www.skotfashion.com. You can also adjust this data. How can you have data removed? Customer data: send us an email if you want to delete your user profile. Then your order history disappears from the system. Mail can be sent to hello@skotfashion.com. Mailings: in the updates of SKOT that you receive every now and then, you can easily unsubscribe. Click on the link at the bottom of the email.